A year after several high-profile automated vehicle incidents, American attitudes toward fully self-driving cars have not rebounded. AAA’s annual automated vehicle survey found that 71 percent of people are afraid to ride in fully self-driving vehicles - indicating that overall sentiment has not yet returned to what it was prior to these incidents occurring (63 percent). 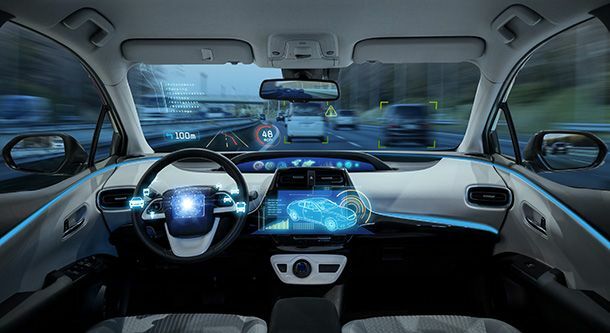 AAA believes the key to helping consumers feel more comfortable with fully self-driving vehicles will be bridging the perception of automated vehicle technology and the reality of how it works in today’s cars. “As ADAS features become more and more prevalent, AAA urges the industry to develop standardized naming to prevent confusion,” said Pat Moody, manager of public affairs for AAA Northern New England. Recently, AAA Northern California, Nevada & Utah, in partnership with the city of Las Vegas, Keolis North America and the Regional Transportation Commission of Southern Nevada (RTC), piloted the first and largest self-driving shuttle for the public to operate in live traffic, to give more people the opportunity to gain real-world experience with automated vehicle transportation. The self-driving shuttle was the first in the country to be fully integrated with smart city infrastructure and operate on open, public roads. Participants had the voluntary opportunity to take a survey post-ride regarding the impact of their personal experience with the shuttle on their perception of self-driving vehicles. Of those who responded, many reported their sentiment improved following the experience of riding the shuttle.